It's often said that the smallest of gestures can make the biggest difference. Every small, innocent gesture from one person to another in the midst of our regular days shows that humans still care about each other enough to be kind and help out, even though we may not even know each other. Such a beautiful moment recently took place on a flight between Minneapolis and Atlanta, USA. A man decided to extend a helpful hand to an unknown woman on his flight - and his gesture is now being hailed by thousands online. 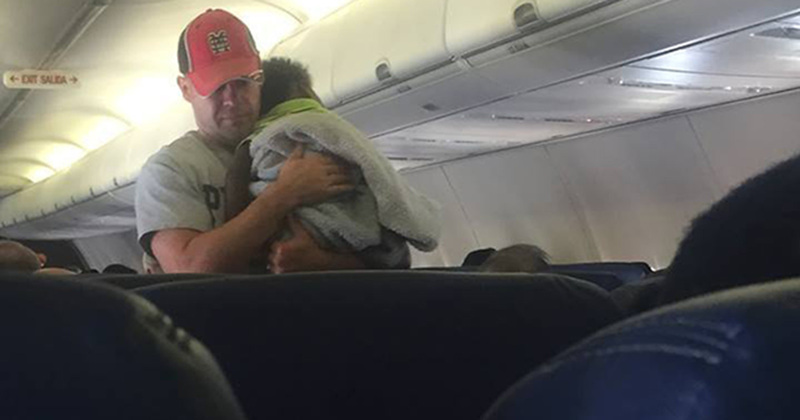 It was a calm and quiet flight when suddenly a baby began to scream loudly. The man saw that the mother was both alone and pregnant, and clearly exhausted and in need of rest. While others looked away and whined silently about the noise, he decided to get up, walk over and offer her a little assistance. Another passenger captured the following moments in a picture, sharing it on the Facebook page ”GAFollowers – Everything Georgia”, where the post quickly went viral, getting over 10,000 likes and over 2,000 shares. "On a flight back to Georgia, this man, who was a stranger to this woman, offered to help her because she was pregnant and alone on the flight and her son was upset and fussy. He told her that he was a DAD, and wanted to help her so she could rest. 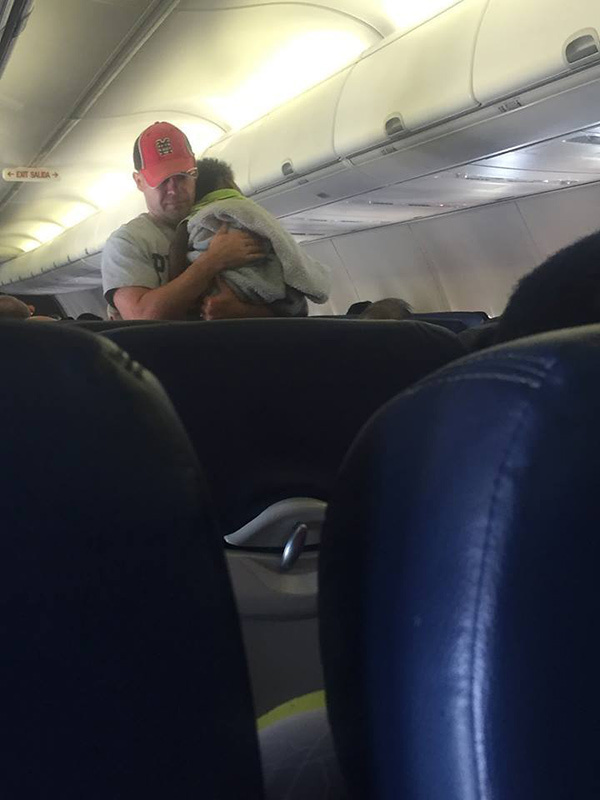 He walked the aisle most of the flight from Minneapolis to Atlanta comforting this woman's son as if he was his own. I was in tears...not because he was white and she was black...but because it showed me today that there are still GOOD people out there in a world full of turmoil. It may sound like a small gesture - but was this man did, just to help a stranger, is certainly worth praising today, which is why I wanted to share this story. Please share further if you also think that everyone should reach out and help one another more often!